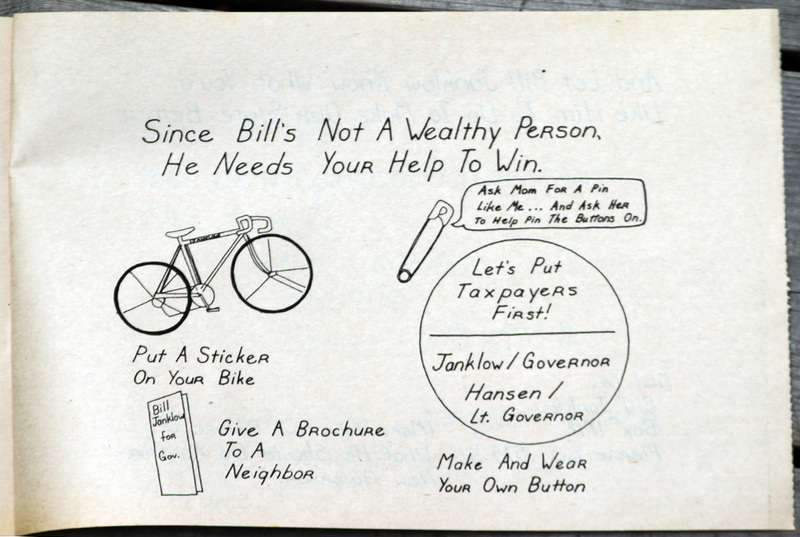 Above and below, pages from a 1976 campaign trail coloring book designed to soften the image of then known as Attorney General Bill Janklow, toughest sheriff west of the Pecos. 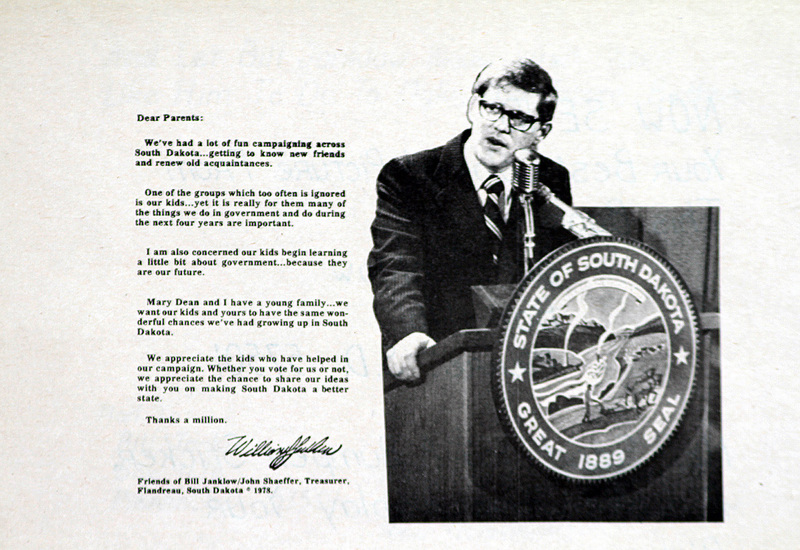 Bill Janklow has no recollection of ever deciding that he wanted to be the Governor of South Dakota. "I don't know when I decided, people give you this crap, you know, 'I gotta go home and talk to the family.' Well, if they decide to run they talk the family into it. "People say, 'well you know, there's such a thing as a draft.' Well, you can't have a draft unless the window's open." It was the evolution of Bill Janklow and his adopted state that made his run inevitable. When he was 10-years-old Janklow was living in Nuremburg when his father, a Chicago Hungarian-Jew prosecuting war criminals, died suddenly. "My mother woke up one morning and she was a 35-year-old widow," Janklow said.